You know I make green smoothies for breakfast mostly everyday. 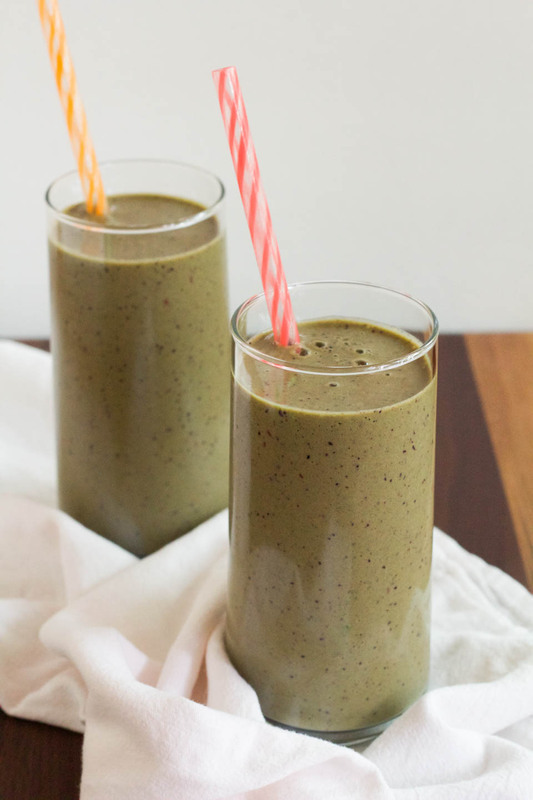 You’ve heard me say it over and over, I love me some green smoothies! Spinach is my favorite for the greens, but I also recently read that changing the greens for the highest health benefit is best. It makes total sense, like eat the rainbow. But I keep buying spinach to make the smoothies, I have a spinach addiction. Not a bad one right?!! I also saw a romaine lettuce smoothie recently, haven’t tried it, not totally sure about that one. But I can’t knock it until I try it! I do know, however, that I have cracked the code to my favorite combination green smoothie. And it involves mangoes!!!!! Not totally surprised, I love mangoes and grew up eating them here and in Mexico every which way. The only surprise is how long it took me to get to my favorite combo ever. It also took Brian saying he wanted his green smoothie to taste like the Odwalla superfood or Naked green machine. Challenge accepted! I’ll pretty much do anything reasonable to help people enjoy their green smoothies, and if it means making it taste like a beverage they already like that is healthy, why not? I simply looked at the ingredients in both and went, OH MY GOSH DUH, mango. I had all of the other ingredients in there, no mango. I tried pineapple not that long ago, it was amazing, but still not the best. So mango. I could also add, I make the same smoothies most of the time. I switch it up maybe every couple of weeks and add beets, watermelon, or seasonal fruits. But for the most part I buy fruits that go in the freezer, and greens that go in the fridge specifically for the smoothie makings. I also always have Greek yogurt, and Spirulina to add. Sometimes I add hemp seeds and other good for you proteins, and milks. This time I used Coconut milk which was so good. But the mango made all of the difference, and it has excellent vitamins like C, A, and B, fiber and folate, all good things. So it made my favorite green smoothie taste the best, plus added some great nutritional benefits. Happy Mango Green Smoothie for us! 1. 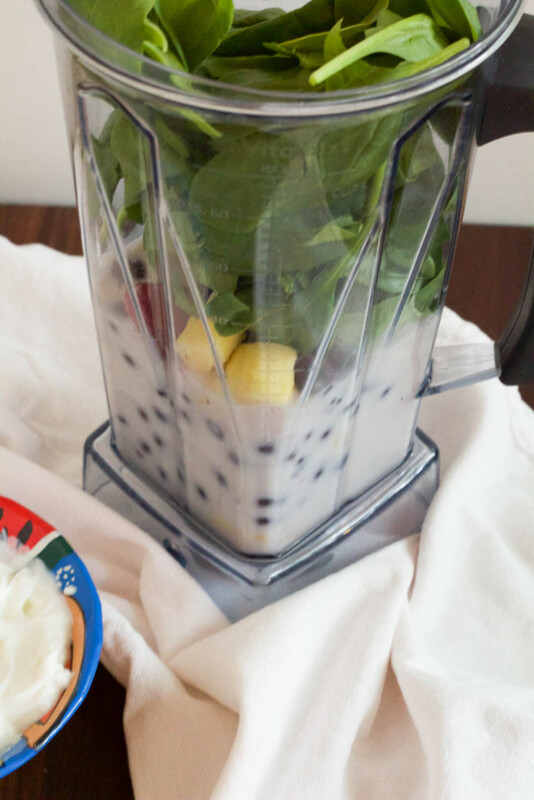 Place all ingredients in a blender, blend on high for a few minutes until blended well. Serve immediately or store in a glass with airtight lid for next morning. 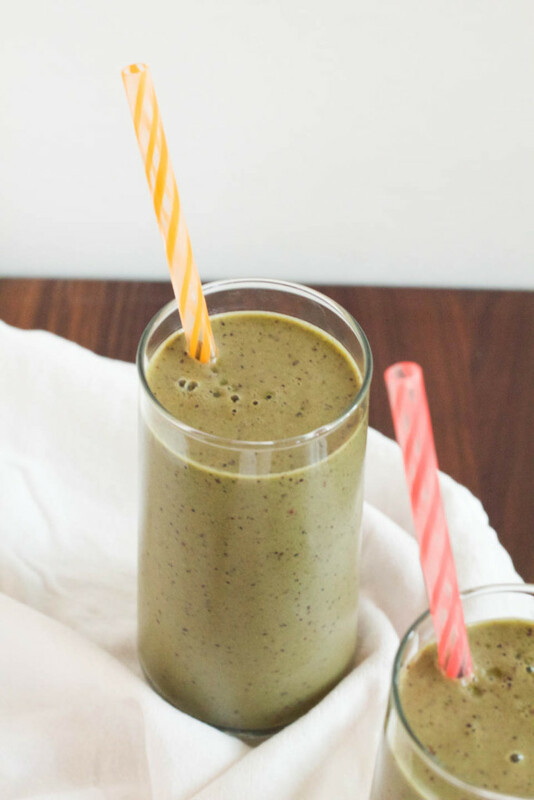 More smoothie recipes from NJB and my blogging friends! great smoothie! I will try this with my sweet and loving wife. She loves smoothies. I am pretty sure she will love your article. Delicious!! 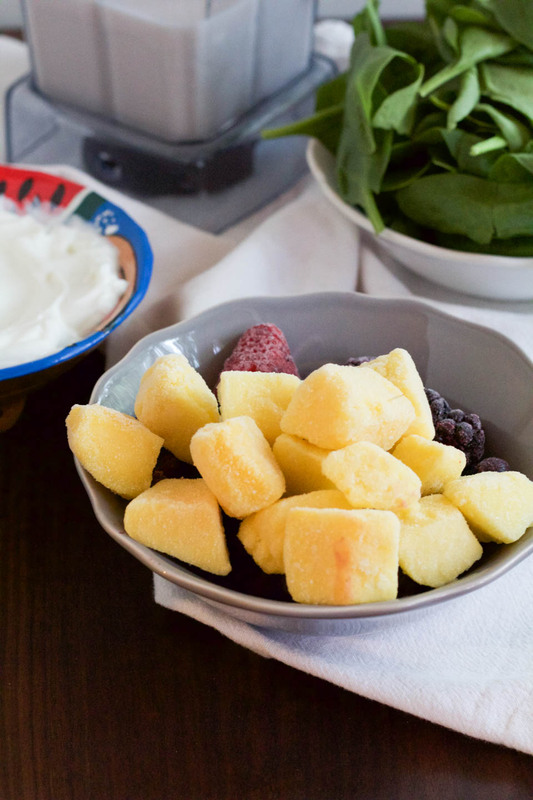 I’ve got bags of frozen fruit in my freezer for recipes just like this. From time to time, I like to add arugula instead of spinach. It adds a nice sharp bite to the smoothie. Oh good idea, I love arugula. Thanks, I’ll have to try it! I make smoothies pretty much every day as well, at least weekdays. Almost happy to find new ideas! I drink smoothies almost every day and this sounds yummy! Love a delicious, healthy smoothie! I am obsessed with figs!